There are many twists and turns on life’s journey, very few of which are in our control. What we must never forget, though, is that we can always be in control of our reaction. I write “can be in control” because it takes a conscious effort to do so. How we respond depends on our mindset. A tragic event can knock us off course, we can lose our confidence, our mojo disappears and our ego, our protective force, reverts to childhood and we find ourselves wallowing in self-pity or burning with anger and bitterness. Or, we can turn the tragedy into hope, through compassion. Recently, I had the honour of meeting two inspiring young men, the Ocean Brothers, Greg and Jude. Their life’s tragedy was the cruel loss of their father & father-in-law, Pete to skin cancer. A body blow to the brothers who struggled to deal with their loss initially. It seemed so unfair; why Pete? Helpless to prevent, the impotence was as hard to bear as the loss itself. But as they started to come to terms with life’s new reality so they found themselves coming closer together. As they shared their pain a deep empathy developed, a bond deeper than just genetics. Gradually, their hurt and loss turned to compassion through a desire that others should not feel the pain that they were feeling. How could they make good from Pete’s death? What could be done such that Pete’s legacy was one of hope; hope for them and hope for others? Greg and Jude are truly inspirational in so many ways. Stronger together with a new higher purpose driven by compassion. Hope drives them on as they linked their story to a greater story; a greater story with a greater impact – a fight with the killer. 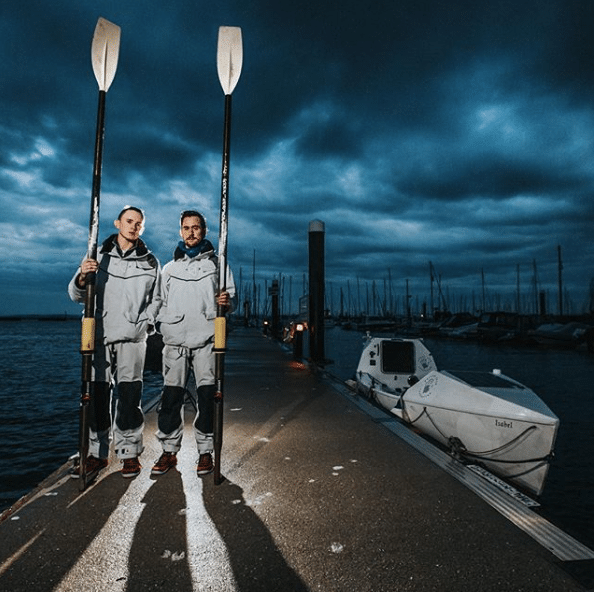 Starting this week, the Ocean Brothers, Greg and Jude, are rowing, alone, unsupported across the mighty Atlantic ocean in aid of the British Skin Foundation. An incredible challenge that has lifted them from darkness to light, from loneliness to brotherhood, from tragedy to hope, for them and for many. Sometimes life is cruel and unfair. Sometimes the future can seem stark and cold. But we do have a choice. We always have a choice. It is our redemption to turn tragedy to hope. And the path is that of compassion. Follow them, be inspired by them and support them and their cause.